Came House is an example of the provincial architect-builder’s capabilities in design and craftsmanship at their best. 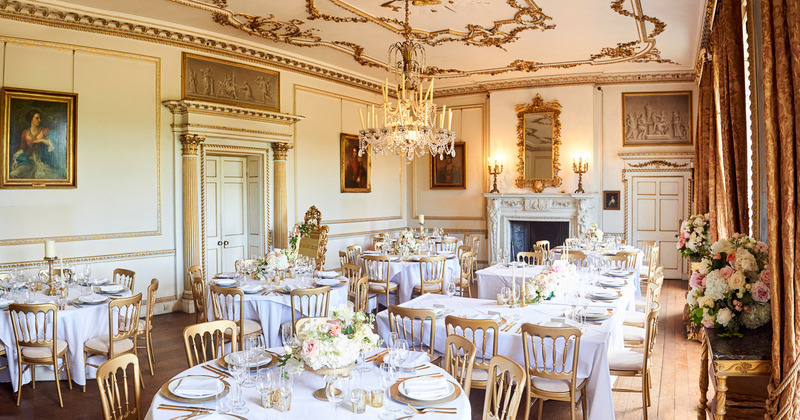 The house was built for John Damer by Francis Cartwright of Blandford in 1754, with the interior decoration of the house was completed in 1762. Messrs. Vile and Cobb, the London cabinet makers, were employed for some of the decoration (including the white and gold gilt splendour of The Saloon and Drawing Room) as well as for the supply of furniture after Cartwright’s death in 1758. In the mid-19th century a new Entrance, with porch, vestibule and cloakrooms, and the Domed Conservatory were added on the west side of The House. 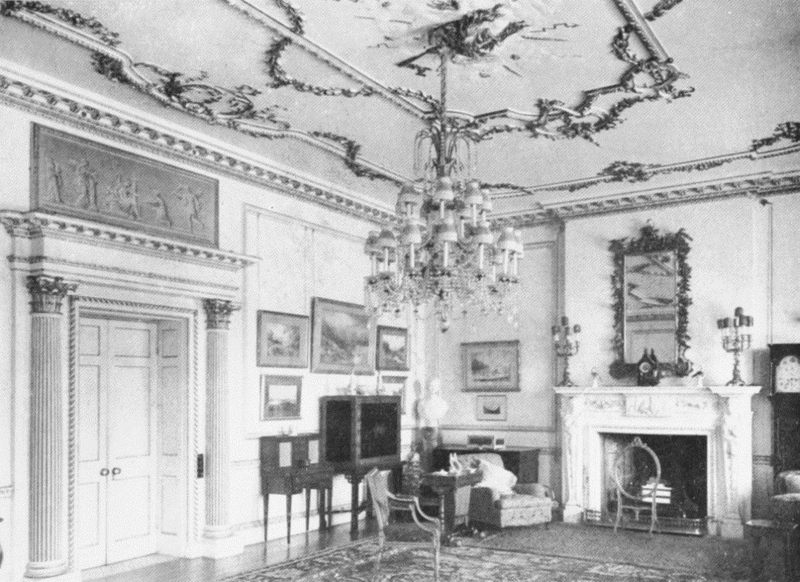 At the same time, a few minor changes were made and the Library was established, but The House avoided most of the more sweeping “improvements” common in Victorian times, making it a unique and lasting example of its period. 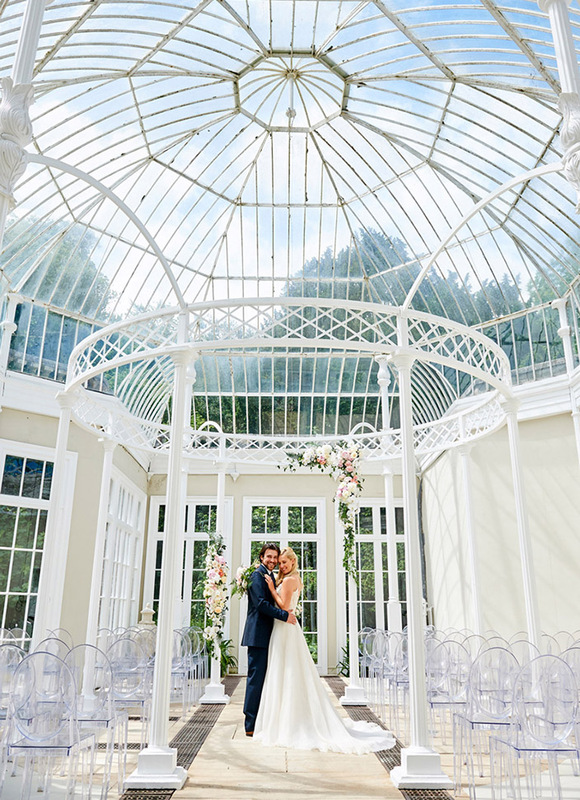 The Conservatory was built in the 1830’s along with the new Entrance Hall and is attributed to the Architect Charles Fowler, best known for the Great Conservatory at Syon House and for the Covent Garden Market (both also 1830). 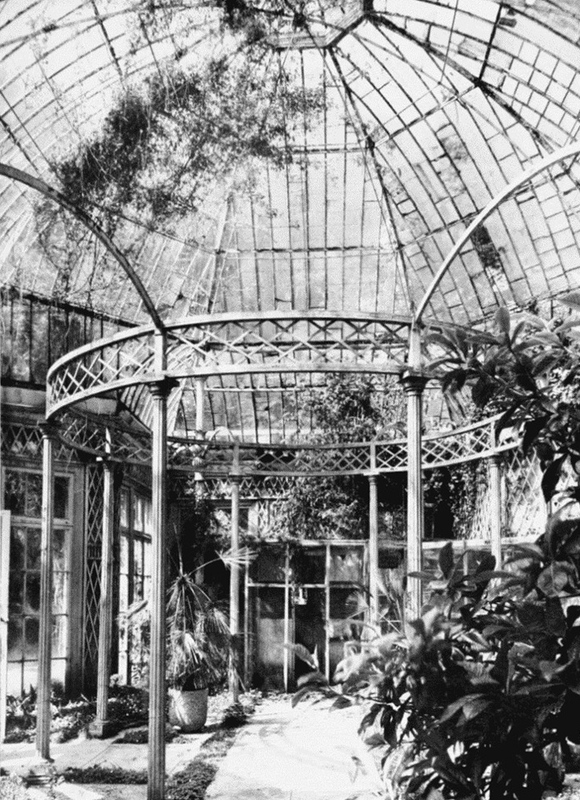 The current owner’s Great Grandmother, Lady Christian Dawson-Damer, kept birds – you can see the aviary at the back of the photo below. Some time after this photo was taken, during World War II, a German bomber was being pursued by a spitfire and offloaded a bomb to lighten its load and help its getaway to the Coast. One of the bombs landed near to the House which shattered the glass dome, and Lady Christian’s birds all escaped!